Bowalley Road: A Labour Code Worthy Of Inspection. 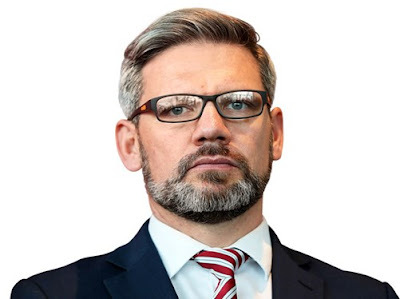 Labour's Inspector-In-Chief: Since the Minister of Labour, Iain Lees-Galloway, has already ruled-out the only reform measure capable of reinvigorating the trade union movement: the restoration of compulsory membership; and in light of the fact that he is publicly pledged to expand the MBIE inspectorate; the idea of creating one big multifaceted “Labour Bureau” is not entirely fanciful. AS A YOUNG trade unionist, back in the early 1980s, something always bothered me – the Department of Labour. Many of the issues confronting trade union organisers were straightforward breaches of the law relating to wages, conditions, holidays and, more importantly, the health and safety of the employees on site. This latter issue should not, strictly-speaking, have been the responsibility of the trade unions at all but of the Department of Labour’s safety inspectorate. Why were these Labour Inspectors so incredibly reluctant to intervene in workplace disputes? The secretary of my union patiently explained to me just how delicate the balance was between the employers, the unions and the Department of Labour. Too much interference from the unions and/or the Labour Department’s inspectors in the employers’ “managerial prerogatives” would inevitably escalate into a political crisis from which, in the end, only the bosses would emerge victorious. Official intervention was, accordingly, reserved for only the most egregious breaches of the law. For the most part, the resolution of workplace difficulties was accomplished informally by paid union officials, or Departmental staff, having “a quiet word” with the delinquent employer. Only very rarely did matters end up in court. To make doubly sure that enforcement did not get out of hand, the number of Labour Inspectors was kept ridiculously low. Even had the inspectorate been minded to act proactively against poor (or even dangerous) employment practices, there was simply too few of them to enforce the law effectively. The unions, too, had received an unforgettable lesson in what was – and was not – acceptable industrial behaviour, from the National Party in 1951. Industrial militancy – especially when undertaken with overt political intent – would not be tolerated. If the unions wanted the legal mechanisms which made union membership compulsory to remain in place, then they would limit themselves to meeting the “bread and butter” needs of their members. Politically-inspired union militancy was off the agenda. Bad though this state-of-affairs undoubtedly was, the arrival of “Rogernomics” made it much, much worse. Free market capitalism required “labour market flexibility”, “light-handed regulation” and the unfettered exercise of managerial prerogatives. With the passage of the Employment Contracts Act in 1991, the scope for interfering union officials and labour inspectors was dramatically reduced. The consequences: whether manifested in the blatant criminal tragedy of the Pike River mine disaster; or, more insidiously, in the steady reduction in the share of the nation’s wealth afforded to working people (as opposed to shareholders) are all around us. To date, most of the reform effort has been concentrated on heeding the lessons of Pike River. The law relating to occupational safety and health has been strengthened and that part of the Ministry of Business, Innovation and Employment (MBIE) responsible for the enforcement of workplace legislation has become much more assertive. The most startling evidence of MBIE’s new proactive approach emerged only this week when, in a test case brought before it by the Ministry, the Employment Court ruled against the practice of not paying employees for business-related activities undertaken before and/or after their agreed hours of work. The public reaction to this case, from and on behalf of what could easily end up being thousands of workers required to provide similar unpaid labour to their employers, raises an interesting question. What would happen if the functions of the entity we used to call the Department of Labour, and the much-diminished trade union movement, were combined in a single, legislatively-mandated and publicly-funded workplace law enforcement agency? Since the Minister of Labour, Iain Lees-Galloway, has already ruled-out the only reform measure capable of reinvigorating the trade union movement: the restoration of compulsory membership; and in light of the fact that he is publicly pledged to expand the MBIE inspectorate; the idea of creating one big multifaceted “Labour Bureau” is not entirely fanciful. In essence, it would require the enactment of a comprehensive code of employer/employee rights and responsibilities; the creation of an institution empowered to establish minimum rates of pay across all industries and occupations; and the recruitment of a veritable army of Labour Bureau Inspectors charged with the rigorous enforcement of both. As part of that enforcement, these inspectors could issue a cease-and-desist order to any business in violation of the code until such time as the breach is remedied. These orders could be called “Strike Notices”. This essay was originally published in The Otago Daily Times and The Greymouth Star of Friday, 18 May 2018. WOULD BE A ROAD TOO FAR. Freedom of Association is a pillar of democracy unreconstructed Fourth Internationalists such as our host seek to supplant with totalitarian compulsion. Trotter demonstrates in this post the threat Trades Union represent to our liberty and to our democracy. "Trotter demonstrates in this post the threat Trades Union represent to our liberty and to our democracy." I don't remember New Zealand being any less democratic when Unionism was compulsory. But there are ways of covering your bases. You could have opt out provisions, for those who feel strongly enough. A really believe that union settlement should be ring fenced so you don't get free riders. But that last doesn't seem to be very popular among anti-union people. I mean we could just maybe make it illegal to pressure people not to join a union, but that mostly applies to small firms where there is a more personal relationship. And either way that could poison the relationship. Making it compulsory would allow small employers to save some face. In suggesting a state funded and managed Labour inspectorate that carried out all the functions of a workers union, was Chris mounting a subtle argument for compulsory unionism? The state is a form of compulsory association. It offers us no choice in whether we shall be subject to it, pay its dues and subscribe to its rules. Therefore what Chris proposes is a form of compulsory unionism which cannot be easily deprecated by those on the right who hold to "freedom of association and opinion" but insist that principle must not be applied to the relations between the state and its citizens. A state managed and funded Labour inspectorate would help lift New Zealand into the rank of progressive nations which strive to deliver equity and social justice to all their citizens within the broad limits allowed by a capitalist economic system. But that would require the regime to reverse the direction it set three decades ago towards an economy with first world capital values and third world labour rates and conditions. Colonialism does not and cannot serve the interests of our people and while there is no formal provision for us to opt out of the colonial state, ultimately there no way in which the regime can oblige us to participate in its processes or prevent us from forming and maintaining our own structures and tikanga. In his latest post Chris refers to "betrayals" of the working class by the left parties in government - the Clark-Cullen-Anderton government and now the Ardern-Robertson government, not to mention the Lange-Douglas government which ostensibly kicked the whole thing off. How many more betrayals should we tolerate before we come to see the colonial project as fundamentally rotten? How many more before we shake the mud off out boots and set out on the journey to establish a genuinely democratic Republic of Aotearoa?